Property Details: 2 Bedroom, 2 Bathroom Home with 1050+ sq. ft. This Fort Walton Beach Condo at Island Princess has exceptional beach and water views from this Emerald Coast home situated directly on the Gulf of Mexico. The amenities at Island princess include 497 feet of beachfront, heated gulf-side pool and hot tub, fitness facility, BBQ grills, and covered parking. Nearby, Okaloosa Island is a popular destination with the fishing pier, boardwalk, restaurants & entertainment venues. 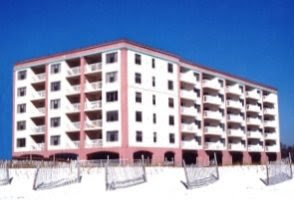 Come this gulf-front condo, directly on the beach, watch the Dolphins play, boats sail by…enjoy the salt life, visit Island Princess Condos in Fort Walton Beach Florida. Fort Walton Beach Florida is a Gulf Coast community on the Florida Panhandle located just west of Destin, the region has a subtropical weather. There are Fort Walton Beach real estate opportunities for those looking to own a piece of paradise – there a Fort Walton Beach Florida homes for sale from beachfront houses to back-water homes on deep water to weekend cottages.